We may all be on this journey to immortality, but Emerson does not believe that we are all going along the journey at the same pace. “Of two men, each obeying his own thought, he whose thought is deepest will be the strongest character. Always one man more than another represents the will of Divine Providence to the period.” Emerson seems clear that at any given time there will be different degrees of enlightenment exhibited by different individuals. The true representatives of Divine Providence are heroes who see that there is only one right way to go and take it. They are the individuals who lead humanity forward and create the trails and the pathways that others will follow. In this way the evolution of extraordinary individuals is the guiding force in Emerson’s evolutionary spirituality. I looked deeper into: “The true representatives of Divine Providence” reading representative men (1850). Emerson believes in the soul’s inborn knowledge of ultimate realities of the universe. For who is interested, I wrote things down. It is so beautiful that I could not make it shorter. ‘I count him a great man who inhabits a higher sphere of thought, into which other men rise with labor and difficulty; he has but to open his eyes to see things in a true light and in large relations. He is great who is what he is from nature, and who never reminds us of others. One man answers some question which none of his contemporaries put. As plants convert the minerals into food for animals, so each man converts some raw material in nature to human use. Man, made of the dust of the world, does not forget his origin; and all that is yet inanimate will one day speak and reason. The possibility of interpretation lies in the identity of the observer with the observed. Each material thing has its celestial side; has its translation, through humanity, into the spiritual and necessary sphere where it plays a part as indestructible as any other. And to these, their ends, all things continually ascend. The power which great men communicate is not theirs. When we are exalted by ideas, we do not owe this to Plato, but to the idea, to which also Plato was debtor. “Let there be an entrance opened for me into realities”. Out of Plato come all things that are still written and debated among men of thought. Mysticism finds in Plato all its texts. Plato absorbed the learning of his times; then his master, Socrates; and finding himself still capable of a larger synthesis,- beyond all example then or since. He says “Every man who would do anything well, must come to it from a higher ground. 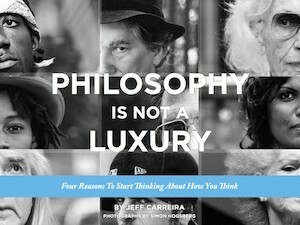 A philosopher must be more than a philosopher”. Philosophy is the account which the human mind gives to itself of the constitution of the world. Two cardinal facts lie forever at the base: 1. Unity, or Identity; and, 2. Variety. Oneness and otherness. “The words I and mine constitute ignorance. What is the great end of all, you shall now learn from me. It is soul.. The knowledge that this spirit, which is essentially one, is in one’s own and in all other bodies, is the wisdom of one who knows the unity of things, the nature of the Great Spirit is single, though its forms be manifold, arising from the consequences of acts. Nature is the manifold. Nature opens and creates. These two principles reappear and interpenetrate all things, all thought; the one, the many. One is being; the other, intellect: one is necessity; the other, freedom: one, rest; the other, motion: one, power; the other, distribution: one, strength; the other, pleasure: one, consciousness; the other, definition: one, genius; the other, talent: one, earnestness; the other, knowledge.. Each student adheres, to the first or to the second of these gods of the mind. By religion, he tends to unity; by intellect, or by the senses, to the many. European civility is the triumph of talent, the extension of system, the sharpened understanding, adaptive skill, delight in forms, delight in manifestation, in comprehensible results. Meantime, Plato, in Egypt and in Eastern pilgrimages, imbibed the idea of one Deity, in which all things are absorbed. Plato came to join, and, by contact, to enhance the energy of each; a balanced soul was born, perceptive of the two elements. The two poles appear; yes, and become two hands, to grasp and appropriate their own; this command of two elements must explain the power and the charm of Plato.. Plato, a master of mathematics, studious of all natural laws and causes, feels these, as second causes, to be no theories of the world but bare inventories and lists. To the study of nature he therefore prefixes the dogma,- “Let us declare the cause which led the Supreme Ordainer to produce and compose the universe. “All things are for the sake of the good, and it is the cause of everything beautiful.” This dogma animates and impersonates his philosophy. He has reason, as all the philosophic and poetic class have: but he has also what they have not,- this strong solving sense to reconcile his poetry with the appearances of the world, and build a bridge from the streets of cities to the Atlantis. Plato apprehended the cardinal facts. He could prostrate himself on the earth and cover his eyes whilst he adored that which cannot be numbered, or gauged, or known, or named: that of which everything can be affirmed and denied: that “which is entity and nonentity.” He called it super-essential. He even stood ready, to demonstrate that it was so,- that this Being exceeded the limits of intellect. “And yet things are knowable!” They are knowable, because being from one, things correspond. As there is a science of stars, called astronomy; a science of quantities, called mathematics; a science of qualities, called chemistry; so there is a science of sciences,- I call it Dialectic,- which is the Intellect discriminating the false and the true. The supreme good is reality; the supreme beauty is reality; and all virtue and all felicity depend on this science of the real. A key to the method and completeness of Plato is his twice bisected line. After he has illustrated the relation between the absolute good and true and the forms of the intelligible world, he says: “Let there be a line cut in two unequal parts. Cut again each of these two main parts,- one representing the visible, the other the intelligible world,- and let these two new sections represent the bright part and the dark part of each of these worlds. To these four sections, the four operations of the soul correspond,- conjecture, faith, understanding, reason. As every pool reflects the image of the sun, so every thought and thing restores us an image and creature of the supreme Good. The universe is perforated by a million channels for his activity. We stand before for the secret of the world. There were Being passes into Appearance and Unity into Variety. The Universe is the externalization of the soul. Wherever the life is, it bursts out into appearance around it. Everything in nature answers to a moral power, if any phenomenon remains brute and dark it is because the corresponding faculty of the observer is not yet active. GREAT MEN are more distinguished by range and tent than by originality. The Genius of our life is jealous of individuals, and will not have any individual great, except through the general. There is no choice to genius, he finds himself in the river of the thoughts and events, forced onward by the ideas and necessities of his contemporaries. Shakespeare’s youth fell in a time when the English people were importunate for dramatic entertainments. In point of fact it appears that Shakespeare did owe debts in all directions, and was able to use whatever he found; every intellectual jewel, every flower of sentiment it is his fine office to bring to his people; he knows the sparkle of the true stone, and puts it in high place, wherever he finds it. It is easy to see that what is best written or done by genius in the world, was no man’s work, but came by wide social labor, when a thousand wrought like one, sharing the same impulse. It was not possible to write the history of Shakespeare till now; for he is the father of German literature. Now, literature, philosophy and thought are Shakespearized. His mind is the horizon beyond which, at present, we do not see. Our ears are educated to music by his rhythm, there is in all cultivated minds a silent appreciation of his superlative power and beauty, which, like Christianity, qualifies the period. [No-one] can shed light upon that infinite invention which is the concealed magnet of his attraction for us. We are very clumsy writers of history. Can any biography shed light on the localities into which the Midsummer Night’s Dream admits me? Shakespeare wrote the airs for all our modern music: he wrote the text of modern life; the text of manners: he drew the man of England and Europe; the father of the man in America; he drew the man, and described the day, and what is done in it: he read the hearts of men and women, their probity, and their second thought and wiles; the wiles of innocence, and the transitions by which virtues and vices slide into their contraries: he could divide the mother’s part from the father’s part in the face of the child, or draw the fine demarcations of freedom and of fate: he knew the laws of repression which make the police of nature: and all the sweets and all the terrors of human lot lay in his mind as truly but as softly as the landscape lies on the eye. And the importance of this wisdom of life sinks the form, as of Drama or Epic, out of notice. Shakespeare is unique. No man can imagine it better. He was the farthest reach of subtlety compatible with an individual self,- the subtlest of authors, and only just within the possibility of authorship. With this wisdom of life is the equal endowment of imaginative and of lyric power.. ; he is strong, as nature is strong, who lifts the land into mountain slopes without effort and by the same rule as she floats a bubble in the air, and likes as well to do the one as the other. He loves virtue, not for its obligation but for its grace: he delights in the world, in man, in woman, for the lovely light that sparkles from them. Beauty, the spirit of joy and hilarity, he sheds over the universe. His name suggests joy and emancipation to the heart of men. If he should appear in any company of human souls, who would not march in his troop? Goethe ascended to the highest grounds from which genius has spoken. He has not worshipped the highest unity; he is incapable of a self-surrender to the moral sentiment. Goethe can never be dear to men. His is not even the devotion to pure truth; but to truth for the sake of culture. He has no aims less large than the conquest of universal nature, of universal truth, to be his portion: a man not to be bribed, nor deceived, nor overawed; of a stoical self-command and self-denial, and having one test for all men,- What can you teach me? All possessions are valued by him for that only; rank, privileges, health, time, Being itself. His penetration of every secret of the fine arts will make Goethe still more statuesque. When he sits down to write a drama or a tale, he collects and sorts his observations from a hundred sides, and combines them into the body as fitly as he can. He was entirely at home and happy in his century and the world. None was so fit to live, or more heartily enjoyed the game. In this aim of culture, which is the genius of his works, is their power. The idea of absolute, eternal truth, without reference to my own enlargement by it, is higher. Goethe, coming into an over-civilized time and country, when original talent was oppressed under the load of books and mechanical auxiliaries and the distracting variety of claims, taught men how to dispose of this mountainous miscellany and make it subservient. This cheerful laborer, with no external popularity or provocation, drawing his motive and his plan from his own breast, tasked himself with stints for a giant, and without relaxation or rest, except by alternating his pursuits, worked on for eighty years with the steadiness of his first zeal. It is the last lesson of modern science that the highest simplicity of structure is produced, not by few elements, but by the highest complexity. Man is the most composite of all creatures. The world is young: the former great men call to us affectionately. We too must write Bibles, to unite again the heavens and the earthly world. The secret of genius is to suffer no fiction to exist for us; to realize all that we know; in the high refinement of modern life, in arts, in sciences, in books, in men, to exact good faith, reality and a purpose; and first, last, midst and without end, to honor every truth by use.